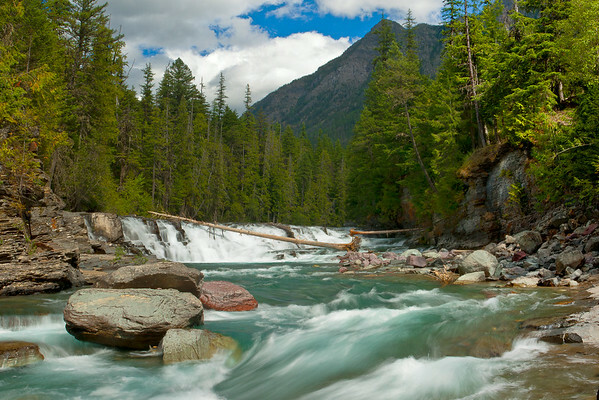 McDonald Creek is one of the more picturesque streams in all of Glacier National Park. The falls are beautiful and the color of the water is magnificent. Even though the light was bright, I was able to caputre the water's movement at ISO 100, f22 and a shutter speed of 1/4 second.